Enter now for the chance to win a free year of cleaning service, and play for a shot at other great prizes. This will be awarded as (4) $1000 Visa Gift Cards !!! Teach your little athlete that big dreams start at an early age. 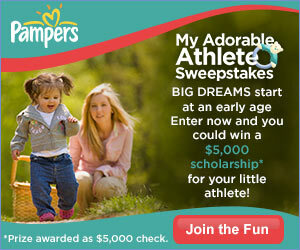 Upload a photo of your loved one, possibly playing his or her favorite sport, and you could win a $5,000 scholarship.